There is “no glory” in France’s track record on refugees because it reflects the country’s weak economy, President Emmanuel Macron said on Friday (23 June). “I find no glory in the fact that France was not so attractive in this respect. It is because we have a 10% unemployment rate,” he told a joint press conference with German Chancellor Angela Merkel at the end of a two-day EU summit in Brussels. During his presidential campaign, Macron promised to lower France’s unemployment rate— which is above the EU average and much higher than Germany’s 3.9%. “The countries that hosted the largest number of migrants, let me be frank, it is because they were countries that were doing well, with a low level of unemployment and where migrants considered that they had a future,” he told reporters. Conclusions from Friday’s meeting included plans to reform the EU common asylum system and do more to help train the Libyan coast guard. The appearance with Merkel was planned as a show of the new Franco-German relationship just one month after Macron took office. Macron promised to do better on migration and even praised Merkel ‘s “brave decisions”, which caused her a political headache at home when they resulted in Germany taking in more than one million asylum seekers in 2015. “I hope we do not need to repeat such decisions,” he said. Macron also admitted that France has had “ended up with inhumane and inefficient situations” because it takes too long to process asylum applications. 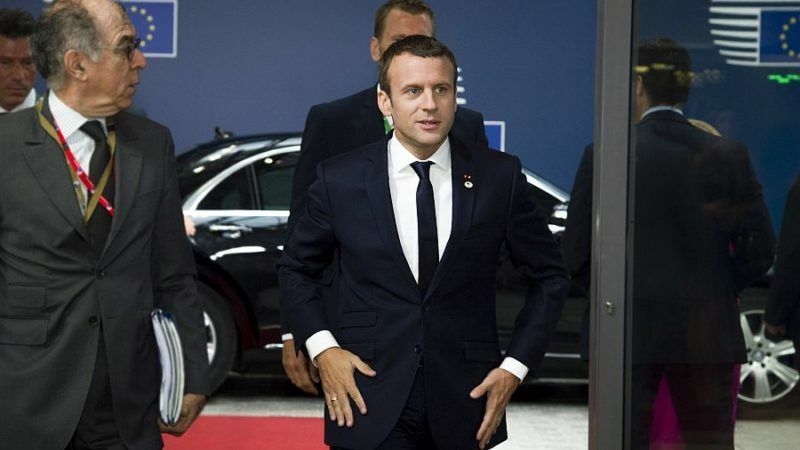 French President Emmanuel Macron said yesterday (22 June) that with German Chancellor Angela Merkel they would table concrete proposals for the future of the EU and of the Eurozone in three months’ time. Tensions between France and Germany over migration have flared up before. At last year’s Munich Security Conference, then Prime Minister Manuel Valls publicly criticised Merkel’s refugee policy. In his presidential campaign, Macron asked for more solidarity, suggesting that he would introduce a strong policy of welcoming refugees. But his stance seems to have already changed. In 2016 France returned more refugees to the countries they came from than in any previous year. In Calais, the situation for migrants is worse than ever after the destruction of the Jungle camp. NGOs are only allowed to give out food or water once a day. The French rule of law ombudsman, or “defenseur des droits”, published an alarming report about the situation, underlining the lack of protection for refugees, especially young ones. 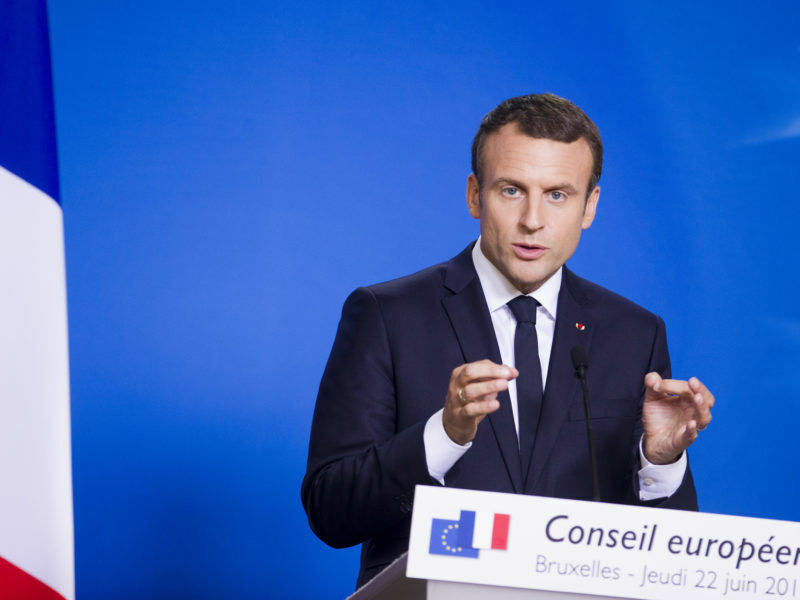 The new French government has emphasised external solutions that should be treated through a partnership with African countries, or through strengthening EU borders. Merkel said the leaders had barely discussed the issue of relocating refugees from Italy and Greece as part of an EU programme to relieve pressure on those countries. The leaders “knew there would be no progress on this today”, Merkel said. A handful of eastern EU member states have objected to the programme. “We have no progress on the questions of distribution in the European Union, we need to continue to address this issue,” Merkel said. 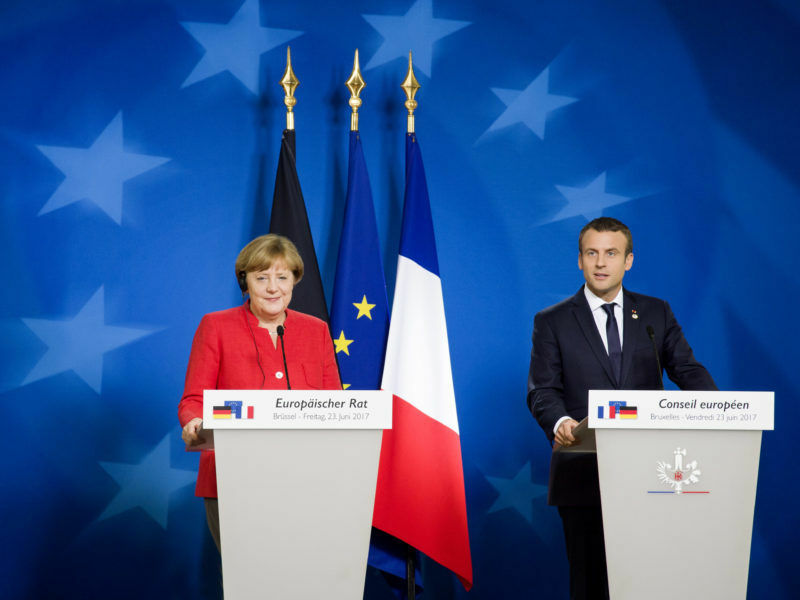 French President Emmanuel Macron and German Chancellor Angela Merkel, speaking at a joint presser after the end of the EU summit on Friday (23 June), said that treaty change should not be an obstacle to carrying out important reforms.